GAZA CITY, Gaza Strip (AP) — Hamas’s newly chosen leader in the Gaza Strip on Sunday traveled to Cairo for talks with Egyptian security officials, in the first high-level meeting between the sides in months, a Hamas official said. The delegation left through the Rafah border crossing, which was opened Sunday for the group to cross. The border is mostly closed for the 2 million residents of Gaza, part of an Israeli and Egyptian blockade. Israel and Egypt have enforced the blockade, citing security reasons, since the Hamas terror group seized control of Gaza a decade ago. Salah Bardaweel, a Hamas spokesman, said the delegation will discuss the humanitarian situation in Gaza under the blockade, Egypt’s role in improving conditions and the need to open Rafah crossing for Palestinian travelers. Bardaweel said the three-member delegation was led by Yahya Sinwar, Hamas’s newly chosen leader in Gaza, the group’s stronghold. Sinwar, a member of the terror group’s military wing, is second in rank only to the new supreme leader, Ismail Haniyeh, who also is based in Gaza. Hamas and Egypt have had cool relations since Egypt’s Islamist president, Mohammed Morsi, was overthrown by the military in 2013. Morsi came from Hamas’ parent group, the Muslim Brotherhood. Hamas has been trying to convince Egypt that it is a reliable security partner. It has deployed more troops along the border with Egypt’s northern Sinai region, where the Egyptian military is battling Islamic extremists. But over the past month, at least four Gaza residents were killed while fighting alongside the Islamic State terror group’s Sinai affiliate, complicating Hamas’ reconciliation attempts. 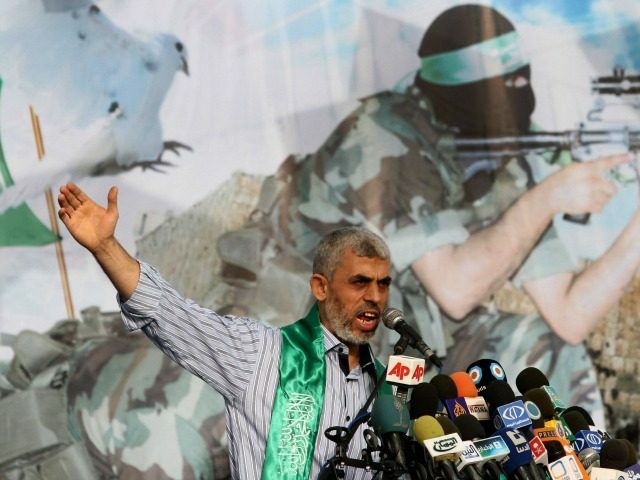 Hamas made a gesture toward Egypt last month with a new policy document that dropped its longtime association with the Muslim Brotherhood and identified itself as a Palestinian movement fighting only against what it calls Israeli occupation.